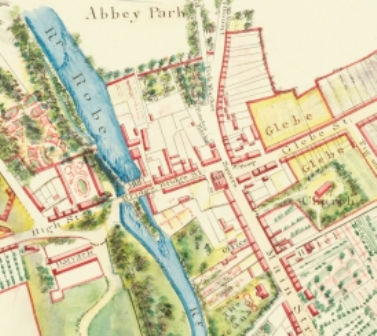 Ballinrobe Community Development Council have arranged a presentation which will be given by Howley Hayes Architects, outlining the findings of their conservation and management plan for the Bowers Walk in Ballinrobe. A number of interesting ideas and opportunities have been proposed. The presentation will be open to the public and the organisers urge local community groups and all those who have an interest in Ballinrobe and the Bowers Walk to attend on Tuesday 11th June at 7:30 pm on the first floor of the Credit Union Building on Main Street, Ballinrobe. Howley Hayes & Co have investigated the significance of the natural and built heritage of the Bowers, identified threats, outlined conservation works needed and provided a vision for the future of this historic place. In conjunction with this study a number of local school groups have undertaken projects about the Bowers and it is hoped to have these on display on the night. The Bowers report was commissioned by Ballinrobe Community Development Council (CDC) and substantially funded by South West Mayo Development Company (LEADER), as well as contributions from local businesses and individuals. Mayo County Council have also provided support and advice for this project. Representatives from all of these groups will be in attendance on the night. The full report from Howley Hayes Architects, Punch Consulting, Austin Reddy & Co., CRDS Ltd. & Christopher Moriarty will be available on this site in due course. and many other worthwhile projects. Are you interested in developing and improving your town? Show yur support by attending this 'Presentation'. This page was added by Averil Staunton on 06/06/2013.